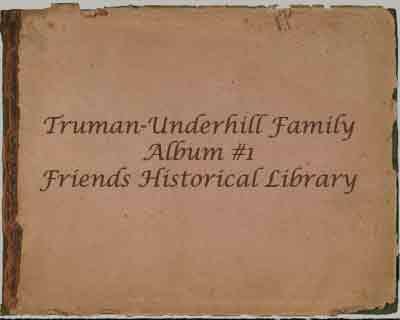 George Truman: The Truman and Underhill families were prominent Philadelphia-area Quaker families with close ties to Swarthmore College and active in social concerns. Best known is George Truman (1798-1877), Quaker merchant and doctor and a recognized minister who visited Indians in the American West and former Quaker settlements in the West Indies. 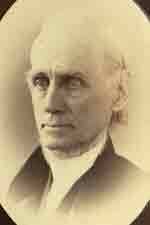 He was one of the founders of Swarthmore College. Benjamin Mott Underhill: George Truman was the maternal grandfather of Benjamin Mott Underhill (1863-1930), who, along with his wife Georgia Cook Myers Underhill (1877-1926), attended Swarthmore College. 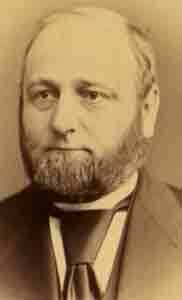 Benjamin Underhill graduated from the University of Pennsylvania School of Veterinary Medicine in 1895, and from 1908 until his death was a professor at the University of Pennsylvania. He was active in the Delaware County Institute of Science and in Providence Friends Meeting in Media, Pennsylvania. 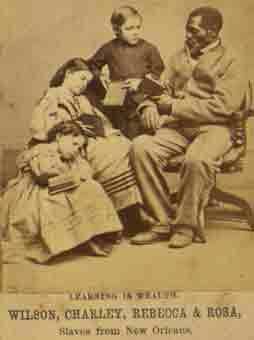 Seneca Falls: The Truman family is related to two of the organizers of the First Women's Rights Convention at Seneca Falls, Jane Hunt (1812-1899), and Mary Ann M'Clintock (1800-1884). 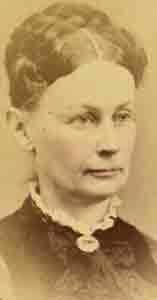 Jane Clothier Master Hunt, wife of Richard P. Hunt, was the sister of Catharine Hickman Master Truman (wife of George Truman). 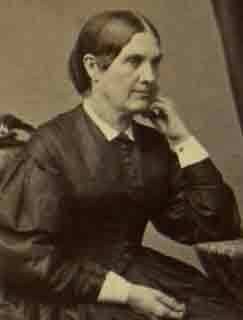 Mary Ann M'Clintock's daughter, also named Mary Ann M'Clintock (1822-1880), married one of George Truman's sons, James Truman (1826-1914). 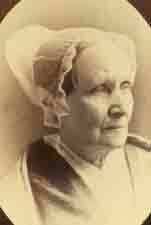 On July 9, 1848, Jane Hunt and Mary Ann M'Clintock gathered together with Lucretia Mott (1793-1880), Martha Wright, and Elizabeth Cady Stanton at the Hunt home in Waterloo, N.Y. On that day, they conceived of the idea of the Seneca Falls Convention "for protest and discussion" on the issue of Women's Rights. 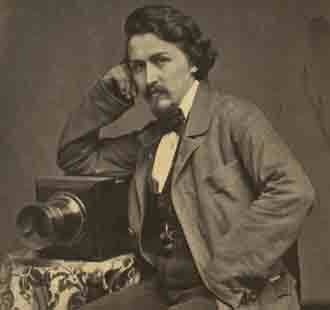 Photography: Prominent Philadelphia-area photographers Fredrick Gutekunst (1831-1917), John W. Hurn, and Isaac G. Tyson took many of the photos in these albums. Also see triptych for several interesting daguerreotypes and ambrotypes in the Truman-Underhill collection, including a portrait of George Truman that was one of the first daguerreotypes taken in Baltimore (1840), and a daguerreotype of an African-American woman "Old Charlotte," the childhood nurse of Sarah Pearson Truman Underhill. Scope and Content: The collection includes the six albums displayed below and three folders, one containing 24 hollow-cut bust silhouettes (created 1800-1850? ), and two folders of miscellaneous photographs. 16 dagguereotypes and ambrotypes have been removed to the cased photograph collection PA 107. 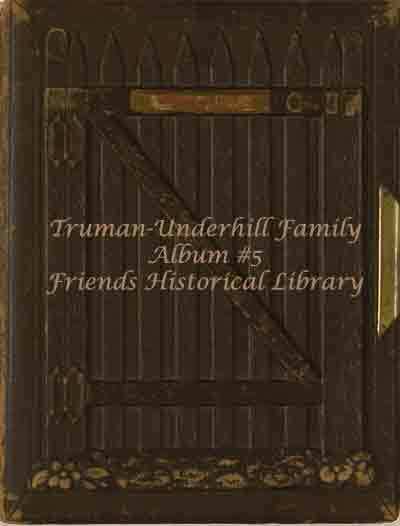 Volumes IV and V of the George Truman Papers, RG 151, contain several original photographs in addition to copies of photos available elsewhere in the collection. Finding the Images: Full-page previews of the albums can be accessed in pdf form by clicking on the album covers below. 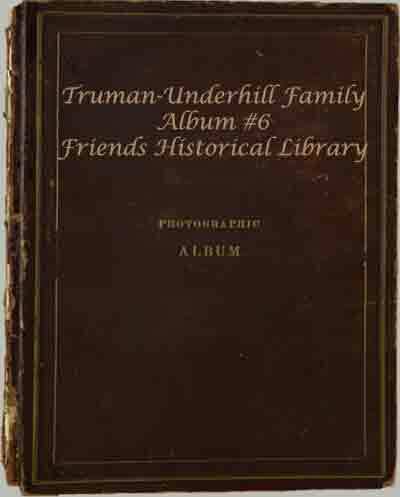 A searchable inventory of all the images in the Truman-Underhill collection is available at triptych, a joint digital initiative of Swarthmore, Haverford, and Bryn Mawr College libraries. 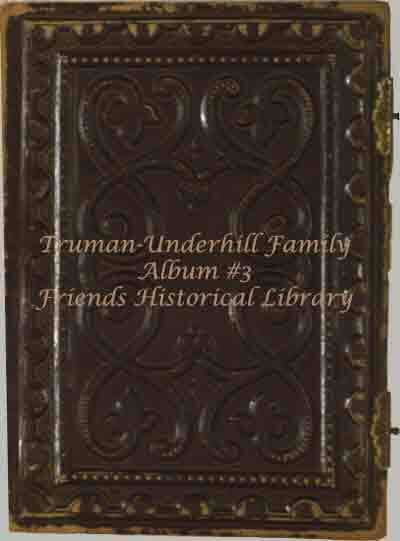 Photograph album belonging to Benjamin Mott Underhill, who took most of the pictures. 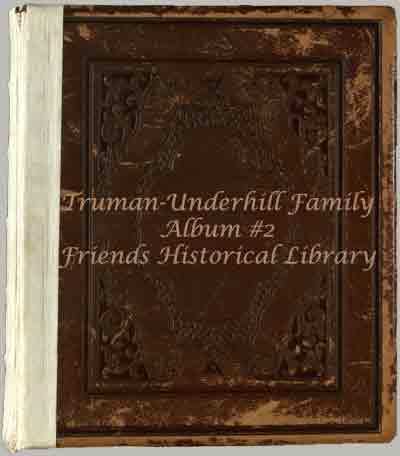 Snapshots of Benjamin Mott Underhill (1863-1930), George Truman Underhill (b. 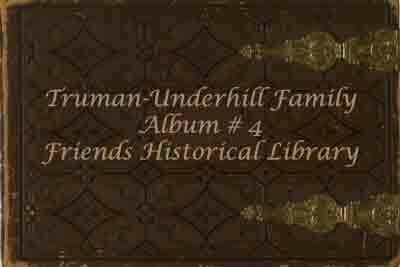 1859) and other members of the Underhill family in the Philadelphia area and Southern New Jersey. Of special interest: an early parade; the Atlantic City boardwalk and attractions; San Francisco after the 1906 earthquake; boats, steamships, submarines. Click on album cover or search triptych. Of special interest: portraits of James and Lucretia Mott, Gulielma and William Penn, Benjamin West, Joseph John Gurney and Elizabeth Gurney Fry. Of special interest: portraits of Lucretia Mott, Richard P. and Jane C. Hunt, Rachel and John Jackson, Elizabeth Gurney Fry; cards #6, 10, and 11 from “White Slaves” fundraising photographs for Abolitionism. 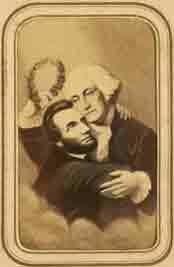 Of special interest: photograph of several paintings, including “Washington and Lincoln. (Apotheosis. )” by J. A. Arthur (1865); portrait of soldier with both arms amputated; portrait of Alexei Alexandrovich, Grand Duke of Russia, 1850-1908. Of special interest: portraits of Jane C. Hunt, James and Lucretia Mott, Isaac T. Hopper, Benjamin West, Franklin B. Gowan, David Sands, Elizabeth and Elias Hicks, George Fox White; drawing of Swarthmoor Hall in Ulverston England. Portrait album belonging to George Truman (1798-1877). Probably assembled by photographer Fredrick Gutekunst, in Philadelphia, from copies and negatives of photographs taken in other places at other times. Of special interest: portrait of Fredrick Gutekunst with camera; Richard P. and Jane C. Hunt; portrait of young man in traditional Japanese garb. Page designed by Celia Caust-Ellenbogen. Updated April 22, 2009 .